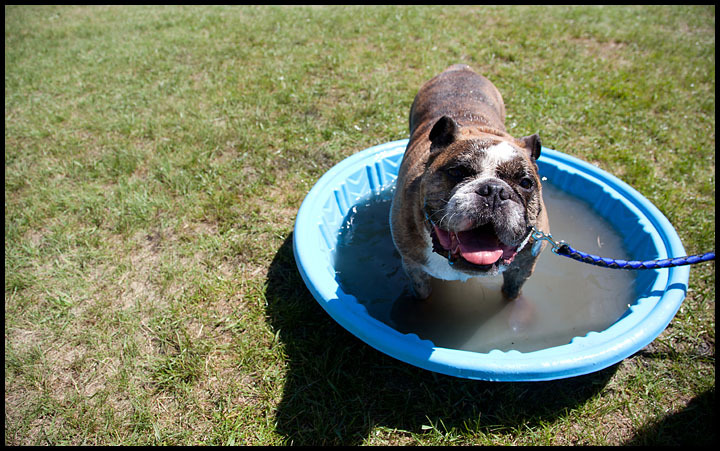 Winston, a six-year-old English Bulldog cools off in a pool of water during the 18th annual Pets in the Park at Sir Wilfrid Laurier Park in Edmonton on June 27, 2010. (Ryan Jackson / Edmonton Journal). 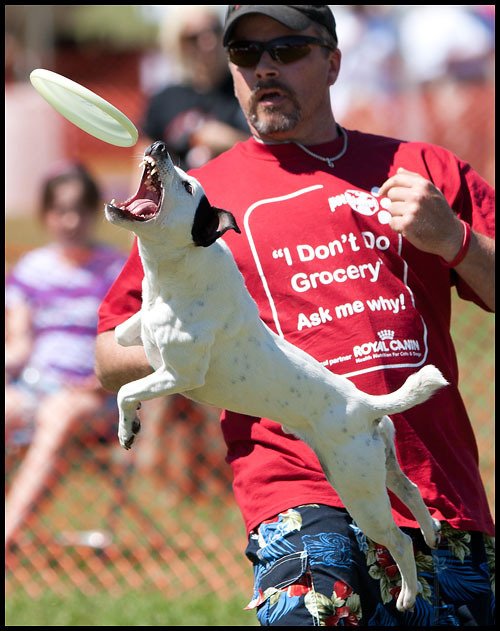 Ninja the Jack Russell Terrier jumps for a disc thrown by Gord Donhou of the Alberta Redneck Furry Fliers during the 18th annual Pets in the Park at Sir Wilfrid Laurier Park in Edmonton on June 27, 2010. (Ryan Jackson / Edmonton Journal). 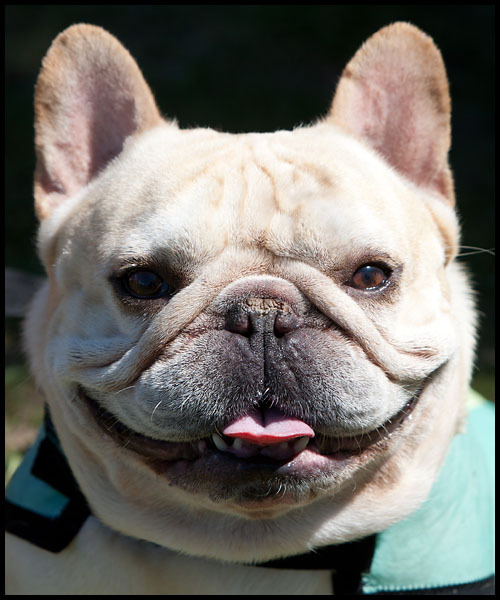 Frodo the six-year-old French Bulldog smiles during the 18th annual Pets in the Park at Sir Wilfrid Laurier Park in Edmonton on June 27, 2010. (Ryan Jackson / Edmonton Journal). 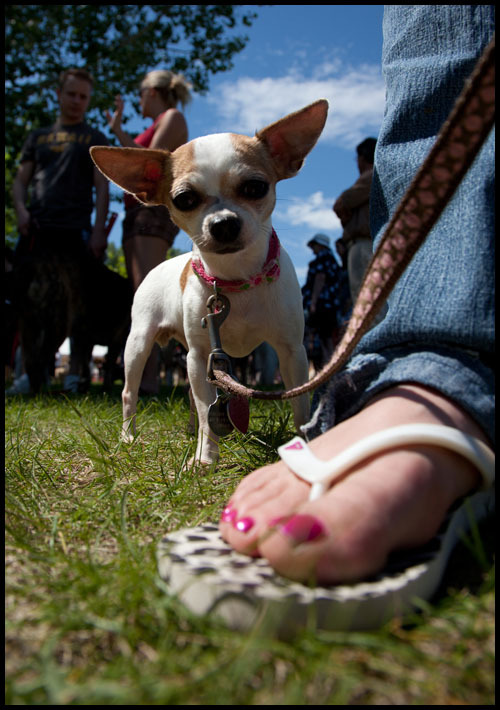 Chi Chi the Chihuahua during the 18th annual Pets in the Park at Sir Wilfrid Laurier Park in Edmonton on June 27, 2010. (Ryan Jackson / Edmonton Journal). Left to right. 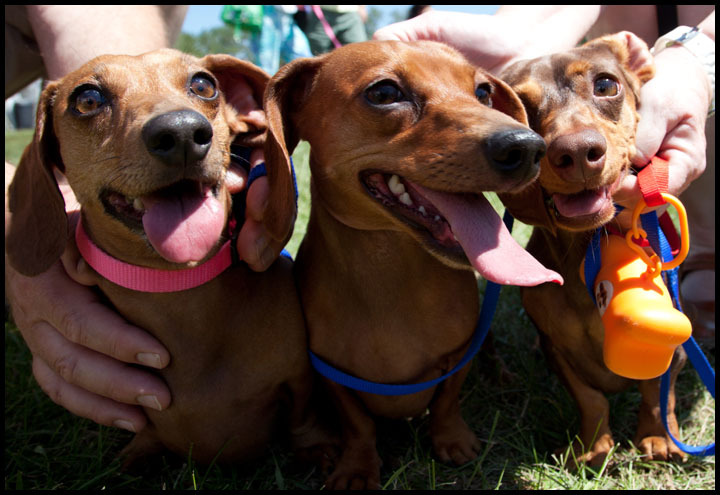 Mia, Sophie and Coco the short-haired daschunds pose for a photo during the 18th annual Pets in the Park at Sir Wilfrid Laurier Park in Edmonton on June 27, 2010. (Ryan Jackson / Edmonton Journal). 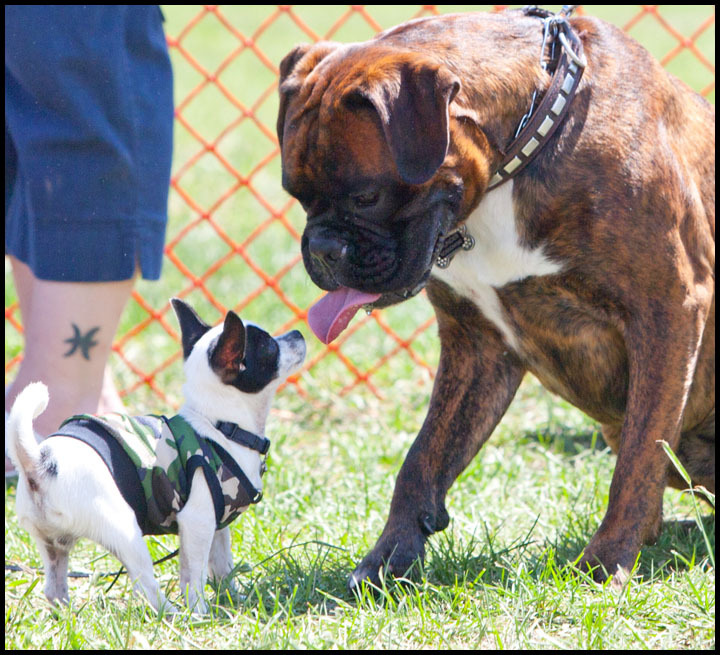 Rocko the Chihuahua meets Thunder the Boxer during the 18th annual Pets in the Park at Sir Wilfrid Laurier Park in Edmonton on June 27, 2010. (Ryan Jackson / Edmonton Journal). 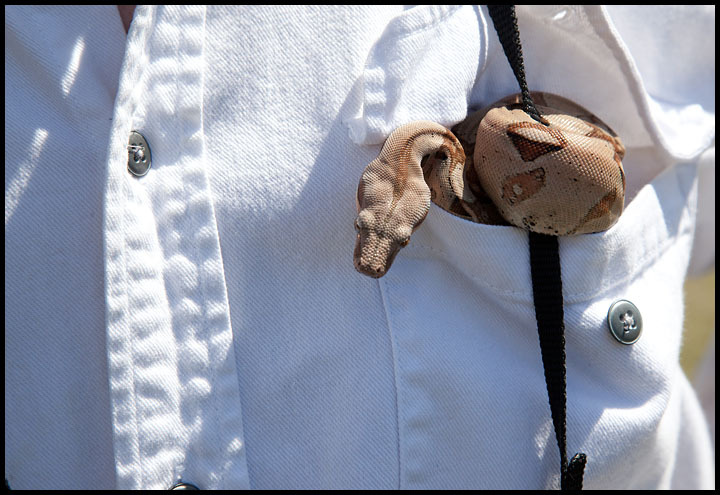 Marc Chomin has Eclipse the baby Boa constrictor in his front pocket during the 18th annual Pets in the Park at Sir Wilfrid Laurier Park in Edmonton on June 27, 2010. (Ryan Jackson / Edmonton Journal). 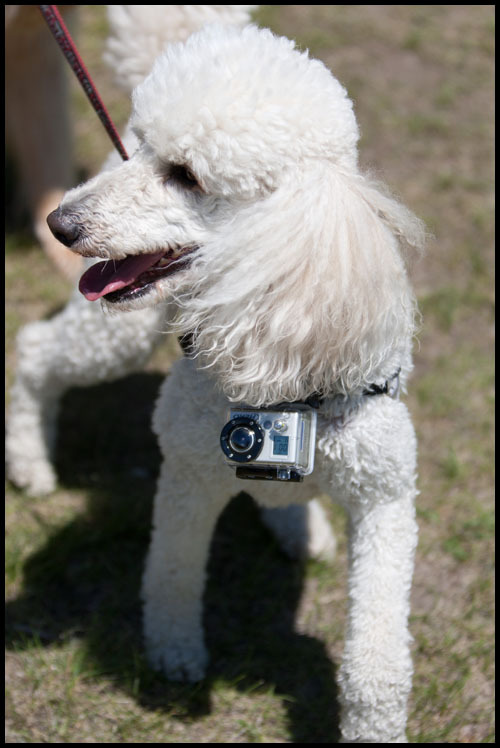 Bailey the four-year-old standard poodle sports Journal photographer Ryan Jackson’s video camera during the 18th annual Pets in the Park at Sir Wilfrid Laurier Park in Edmonton on June 27, 2010. (Ryan Jackson / Edmonton Journal). To make the above video I simply strapped a Hero Cam around a dogs neck and hit record. Needless to say it was a shaky barf fest editing all the video down to 1:43.